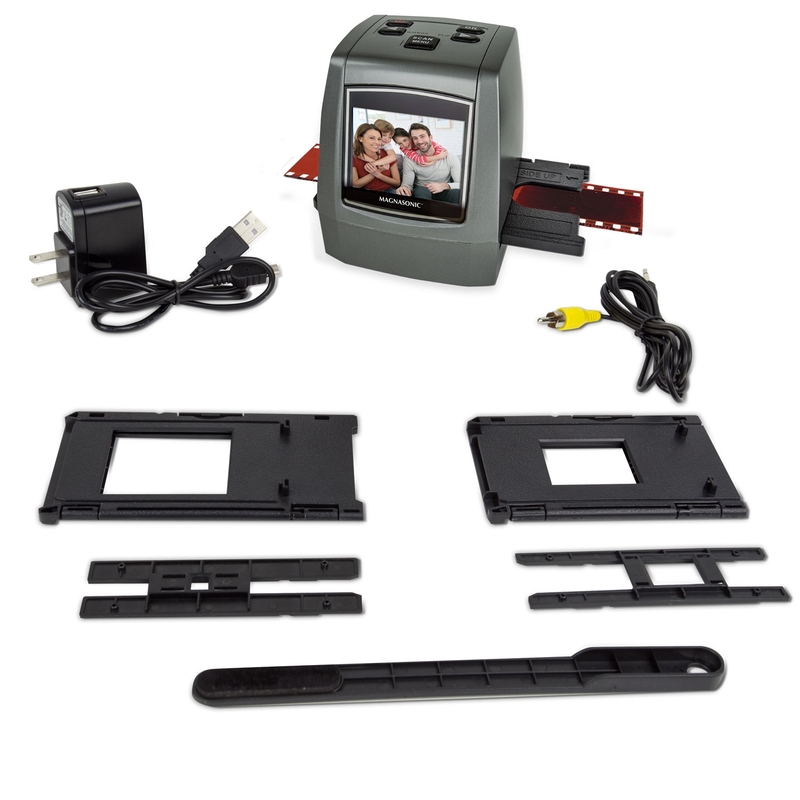 Instantly view your scanned photos directly on the Magnasonic Film Scanner with its built-in vibrant 2.4 inch LCD screen. 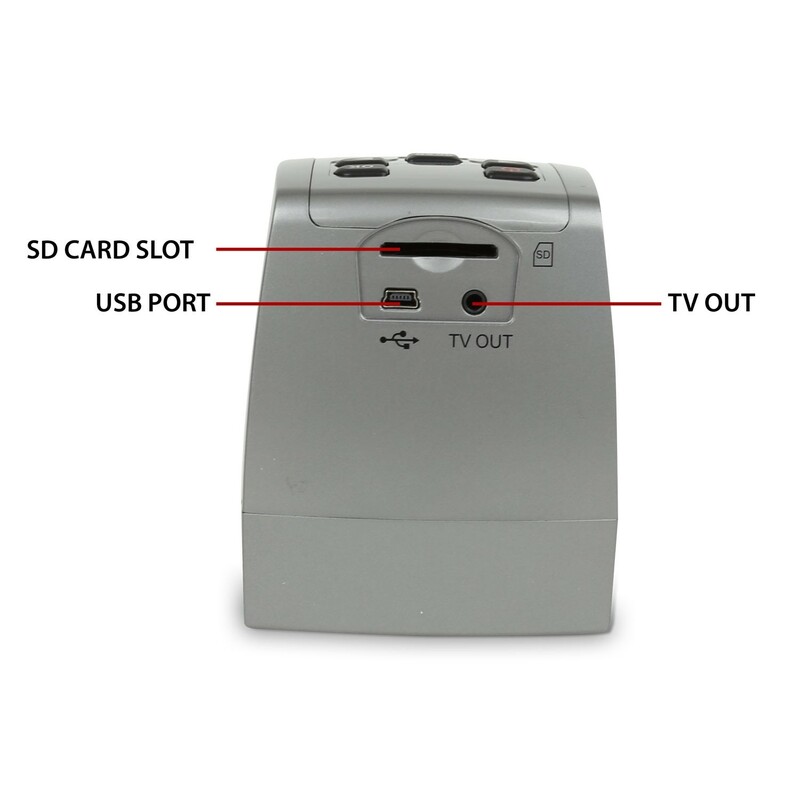 Or if you’d prefer, use the included Video Out TV cable to view on a larger screen and reminisce in timeless memories with friends and family. Boasting 128MB of built-in memory, easily store up to 100 photos until you’re ready to share with friends and family. Use an optional SD card (up to 32GB) to collect even more photos directly onto the scanner until you’re ready to transfer elsewhere. There’s no need for a computer when you can edit brightness, rotation and more directly on the all-in-one film scanner. Choose one of the pre-installed film profiles for a more accurate color rendition and eliminate the need for expensive editing software. This device is just what I needed. The manual printed guidance was a little confusing for me but their Support person Whitney using Chat Now! was exceptional. Whitney's support exceeded my expectations. this was just what I have been looking for! I have enjoyed looking at slides that I was unable to for years. Brings back so many good memories!